Stay connected without leaving the comfort of home. Viibrant's in-house TV allows residents to view digital signage on an assigned TV channel within their individual residence. 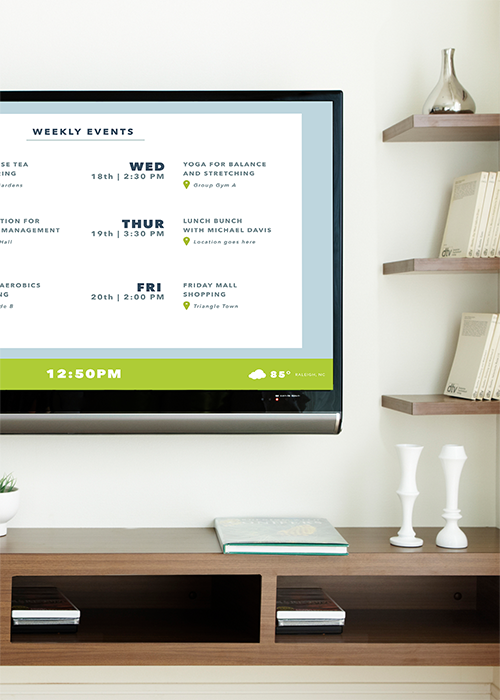 View digital signage messaging in individual residences. One compact box that always stays connected. Schedule content to display on desired days.